Riding helmet GPA EVO+ 2X, new model. GPA model new generation : light, ventilated. New design for this integrated and flexible visor. Metalized painting. 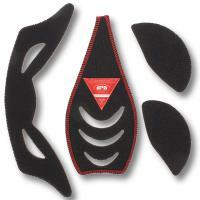 New anatomical and preformed back chin strap with a micrometric buckle for easier and quicker adjustment.